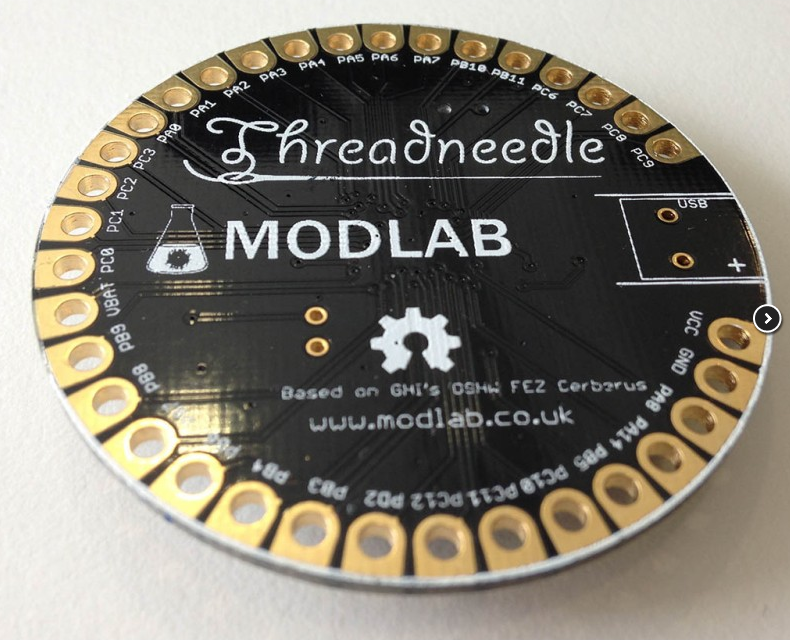 Threadneedle is a .NETMF Sewable Microcontroller #WearableWednesday « Adafruit Industries – Makers, hackers, artists, designers and engineers! Power can be switched between USB (whilst developing) or battery by using the 2 pin JST for use when sewn into clothing. 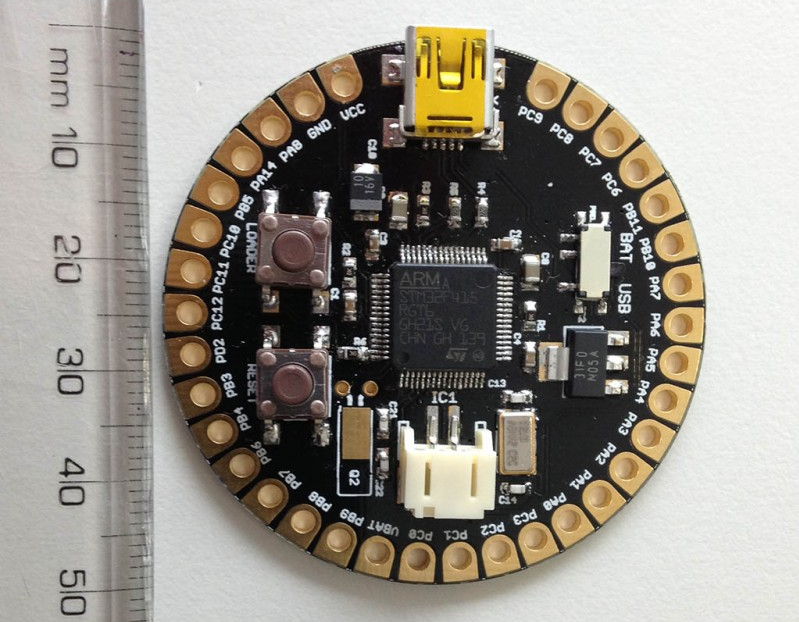 All capabilities are the same as the GHI Cerb 40 with one exception, the USB Host pins have been removed as they are currently not supported with the open source firmware and save some space to allow for sizeable sewing holes.